My initial machine has a harddisk capacity of 540 MB. At that time if you ask me about loosing 200 MB space I will say it means a lot to me . But it was long back in 1994 and my home machine has 2000 times capacity than my original one . So I will find it curious that people are debating about how we can save that 200 MB space that your windows machine take up automatically during the process of installation. I am sure it will not be hot topic for any one if windows 7 just take an additional 10 GB for its windows partition. It is just like the case of People who patiently waited on the bus during all those traffic jams will find it really irritating to wait for the bus driver to park the bus before you get down . 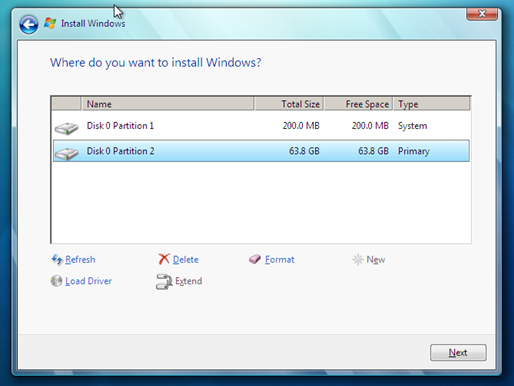 Windows 7 Insists on 200 MB system partition because it is the area where it stores the windows recovery environment . Leave it as such . you are not going to benefit from saving the penny and loosing the pound.